One of my favorite artists. 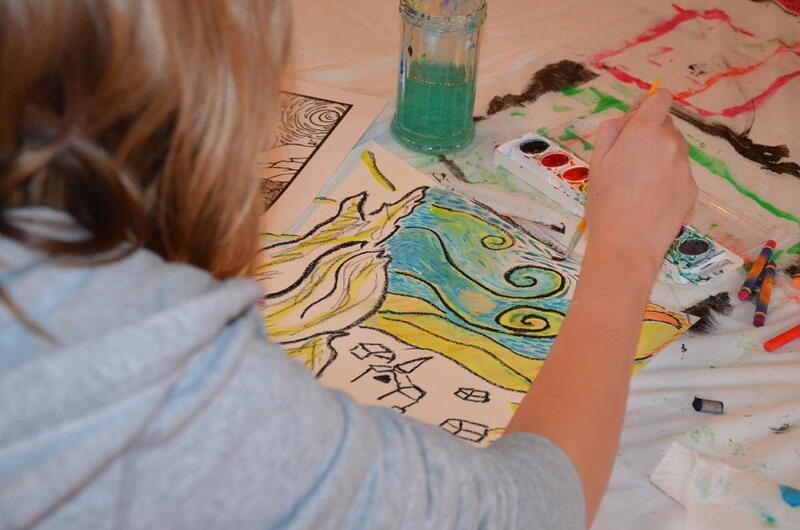 Our 5-9 year olds and our Teen groups re-created their interpretations of these heavenly, whimsical paintings. 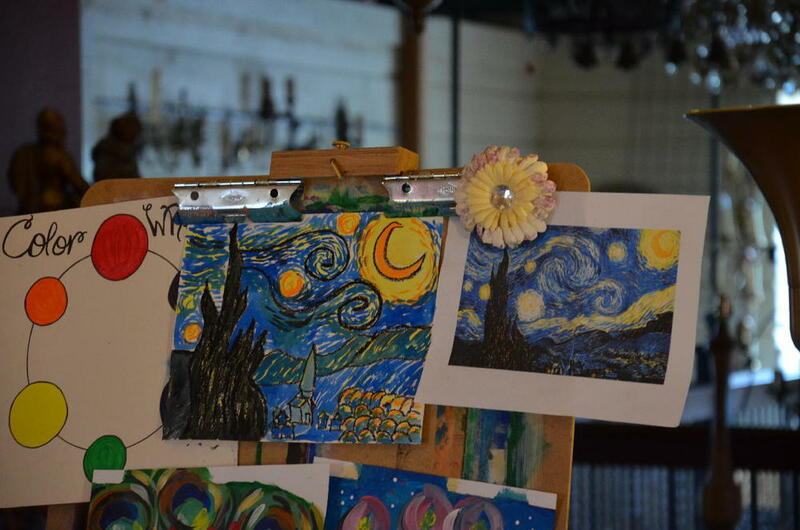 They used Van Gogh technique with short brush strokes and in a completely different medium...watercolor. I absolutely love how they turned out! Each painterly stroke. Each swirly interpretation of the wind blowing in the sky. Watercolor is not easy and these kiddos rocked it! A "Monster's High" Birthday Party!